I was born and raised in Goffstown, NH. I received her BA from Dartmouth College in 1985 and my MS and PhD from Florida State University in 1995 and 1997 respectively, all in Computer Science. Before entering academia, I worked as a software developer for a small consulting firm working with Fortune 500 companies all over the world, including a stint during which I lived in Bergen op Zoom, The Netherlands, for nearly 2 years. I also worked for a small non-profit as a grant writer and fundraiser for a couple of years. 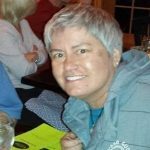 I have been at Plymouth State University since 1998, first in the Computer Science and Technology Department, and since 2006, in the Communication and Media Studies Department, acting as chair of the department from 2011 to 2017. I am currently serving as Plymouth State University’s Coordinator of General Education. My research interests include game studies, open pedagogies, digital literacies, and the role that the IndieWeb can play in education. I am interested in sharing my scholarly work in public as it develops and so my work can be found on my web site: https://cathieleblanc.com. Theo Kalikow Award, Plymouth State University, 2012. Campus Compact President’s Steward Award, Plymouth State University, 2012. Faculty Distinguished Service Award, 2011.